Comment: We are a VFW Post and raccoons are in our attic space. Theyâve been falling through the ceiling and finding a way back into the building through the roof line. Comment: Tiny ants in the kitchen. Comment: I would like to get an estimate for removing a bird's nest in the kitchen vent and vent cover installed, and one on the dryer vent as well to prevent birds from getting in htere. Comment: Wasps in Air conditioning unit on the roof. Ryan's Termite and Pest Control, Inc. Horizon Termite and Pest Control Corp. Pro Control Pest Management, Inc. Ace Walco Termite & Pest Control, Inc.
Fairfield Pest Control Services are rated 4.72 out of 5 based on 1,899 reviews of 31 pros. 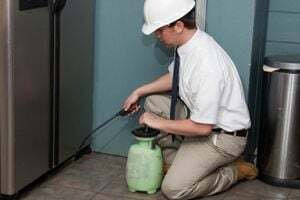 Not Looking for Pest Control Contractors in Fairfield, NJ?